We need volunteers for our first show of our 72nd season: 12 Angry Jurors!! 12 Angry Jurors is a play written by Reginald Rose and was originally a teleplay airing on CBS in 1954, winning three Emmy awards for writer, director and best actor. On a hot summer day after a long trial, a jury must decide whether a 19-year-old man is guilty of murdering his father. The jury votes 11-1 that the man is guilty of the crime but laws in the United States require a unanimous vote by all 12 jurors in order to pass judgment. Tempers flare as the eleven jurors try their best to convince the 1 dissenter to come around to their side. As the evidence is re-examined, however, new uncertainties come to light, forcing everyone to truly question if there is in fact some measure of “reasonable doubt”. Twelve Angry Jurors is a heightened courtroom thriller that puts you on the edge of your site while powerfully exploring what it means to live in a democracy. 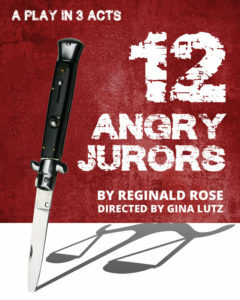 Village Players of Hatboro starts off its 72nd season with the powerful 12 Angry Jurors, by Reginald Rose. The show is directed by Gina Lutz (Epic Proportions, Les Liasions Dangereuses, She Kills Monsters), assisted by Kara McCormick, and produced by Richard Lutz. Show dates are October 5, 6, 12, 13, 19 & 20 at 8pm. There will also be Sunday matinees held on October 7 and 14 at 2pm. Please email Production@thevillageplayers.com with which date/position you’d like. We will need up to 5 people per show (2 for lobby/concessions, 1 for 50/50, and 2 for Box Office). 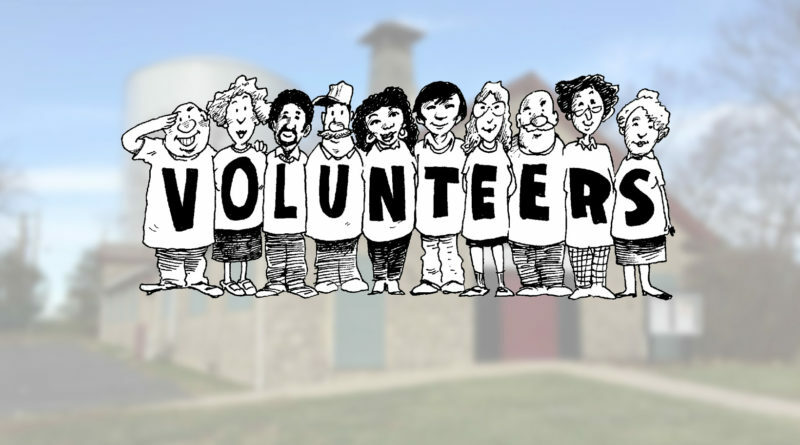 No experience is necessary for most positions; we will let you know what you need to do if you volunteer. Please arrive one hour before showtime. If you’ve never volunteered before, ask anyone backstage to point you towards the stage manager. They can get you started on your first duty of preparing the coffee. Otherwise, feel free to get started on your own. The coffee should be ready by 7:30/1:30 when doors open. You will be given programs to hand out to the audience as they enter the theater. You should be in the lobby as doors open to the public. You should actively engage with our patrons and encourage them to purchase 50/50 tickets. They, of course, have a chance to win half the pot. The other half is always appreciated and goes to very good use in helping maintain our theater. During intermission, you will do the same in the lobby and then also walk around to all the seats for one last attempt before picking the winning ticket at the end of intermission. You will be responsible for receiving payment and handing out tickets. Take a look at the volunteer spreadsheet. Click the link to see what dates/positions have been taken and which one(s) you want.